In Murray, the Creditor filed an involuntary bankruptcy petition against Debtor due to its inability to collect upon a $19 million judgment. Specifically, Debtor’s sole asset was a $5 million cooperative apartment in New York City which he owned with his wife as tenants by the entirety. Thus, although Creditor secured a lien on the shares of the apartment, it could not enforce its judgment under New York State law due to the non-debtor spouse’s right of survivorship. However, by filing the involuntary bankruptcy petition, Creditor admittedly sought to force a sale of the apartment, including the wife’s interest, pursuant to section 363(h) of the Bankruptcy Code. Debtor promptly filed a motion to, inter alia, dismiss the involuntary petition. Agreeing with Debtor, the Bankruptcy Court dismissed the petition. Creditor appealed to the District Court, which affirmed the ruling. The District Court concluded that, among other things, New York law provided adequate means for Creditor to enforce its judgment. 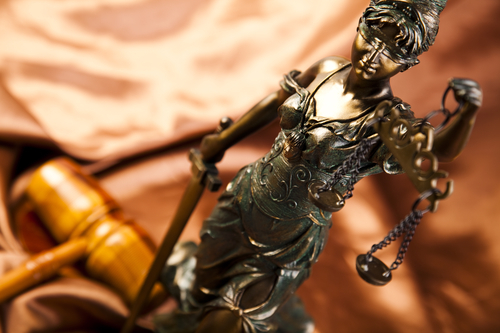 Furthermore, Creditor’s inability to execute on Debtor’s wife’s interest in the apartment did not justify Creditor seeking relief in the bankruptcy court. Upon appeal, in affirming the District Court’s holding, Second Circuit Judge John M. Walker, Jr., noted there was no abuse of discretion in dismissing the case, “because dismissal better advances [debtor’s] interests as a debtor, furthers the interests of the bankruptcy courts and the public, and does not substantially prejudice [judgment creditor’s] interests as a creditor.” He also stated that “judgment enforcement remedies under New York law sufficiently protect [judgment creditor’s] interests as a sole creditor” because it was “by no means certain” the bankruptcy court would permit a sale of the apartment. The Murray decision is significant in that it emphasizes the judiciary’s advancement of a public policy whereby creditors may not utilize the bankruptcy courts to enforce judgments if sufficient state court remedies exist, even if not applicable in all cases. 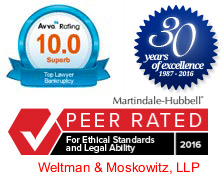 Please feel free to call Weltman & Moskowitz with any questions or challenges you, your colleagues, or clients, may have about this or any other bankruptcy or creditors’ rights issues.